Kid Ink and Verse Simmonds team up for the first "Rocketshipshawty 2" leak. Kid Ink is taking fans back real quick to one of the mixtapes that propelled his career into mainstream sight, Rocketshipshawty, with a second instalment of the project in the works. The West Coast native has been keeping a low profile, only popping up a handful of times, since his not-exactly-album-not-exactly-mixtape project dropped in December, Summer in the Winter. The project was quickly followed by the birth of his first child, so it's safe to say if he's been absent from music he has a good reason. 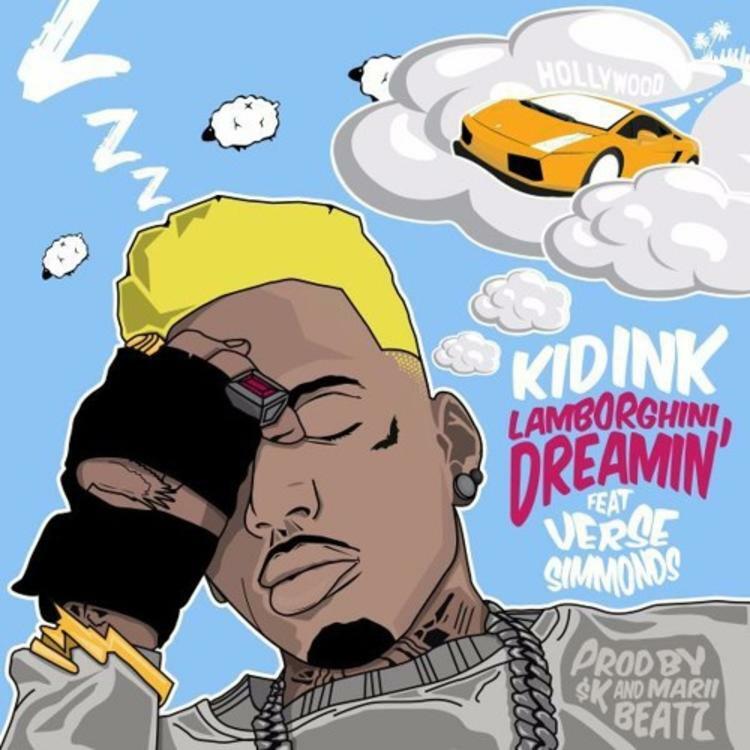 Ink paves the way for Rocketshipshawty 2 today, with the release of the smooth Verse Simmonds-featured "Lamborghini Dreams," where a woman's body is compared to the foreign automobile, a pretty common metaphor in rap. Is Ink in his element here?